This creative print will bring on the smiles on your walk or at the dog park. 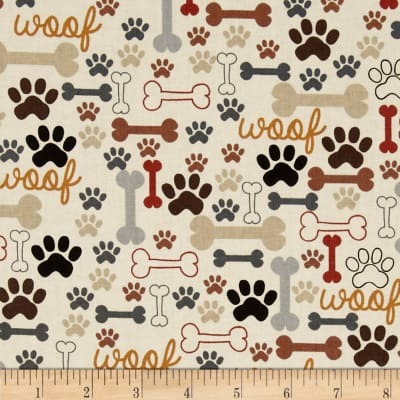 Pet Threads through the collar bandanas are sure to look great on your four-legged friends. Just slide your pet’s collar through the casing of the bandana. Our handmade bandana scarves won't fall off! There is nothing to tie, snap or Velcro! We have bandanas for every occasion. These colorful accessories are machine-washable and make a great addition to your pet’s look. Through the collar bandanas are excellent gifts for pet lovers in your life. Your pet will be stylin’ sporting a Pet Threads through the collar bandana.